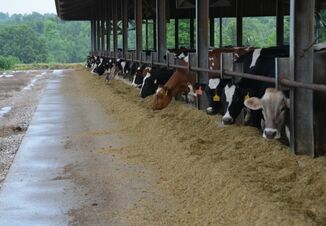 The key to the dairy industry’s success lies in exports as the world’s growing middle class seeks to add more dairy to their diet, according to milk marketing experts who participated in a panel discussion Jan. 18 at the Dairy Strong conference in Madison, Wisconsin. Panel moderator Mike North, who is president of the Dairy Business Association, kicked off the discussion by pointing out an estimated 15 percent of milk produced in Wisconsin is exported to other countries. 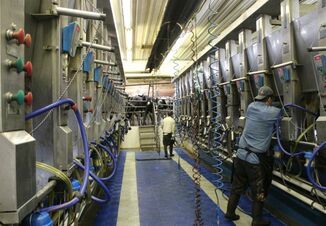 “Trade is an important issue to Wisconsin dairy farmers since that is where the future is, along with encouraging Americans to consume more dairy,” North said. “Wisconsin leads in cheese production and we have an infrastructure in place to grow even more. There are few places like Wisconsin where you have research, government, processors and farmers pulling in the same direction,” Vincent said. During the 2016 presidential election, trade was incorrectly blamed for people’s financial problems, said Dr. Michael Dykes, CEO of International Dairy Foods Association. Chuck Conner, the CEO of National Council of Farmer Cooperatives, said the political dynamics around trade have dramatically changed since he worked with President George W. Bush and his senior staff on formulating domestic and international food, trade, security and energy policy. U.S. Agriculture Secretary Sonny Perdue understands the importance of trade to farmers and is pushing the president to stay in the North American Free Trade Agreement, Dykes said. Beyond expanding foreign markets, farmers can grow business here at home by making sure their stories are being heard, Vincent said. He said many customers are confused about what’s healthy and what’s not because of misleading ad campaigns. Vincent said that when people visit farms and talk with farmers about what they do, there’s a mind shift. “They understand why we do what we do,” he said. Connor said farmers need to be united whether it is on trade issues or dairy promotion. “I’ve never seen farmers lose in 37 years on Capitol Hill when we are all speaking with the same voice,” he said.